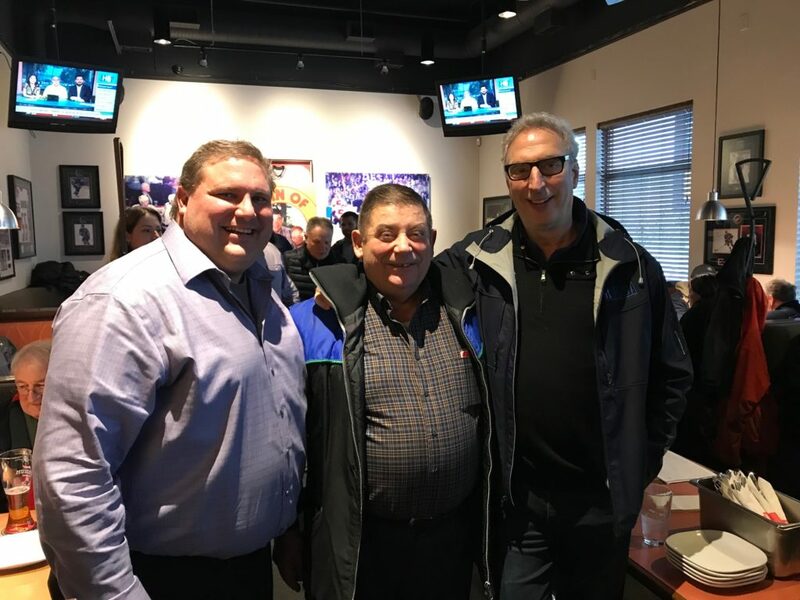 Earlier this year in Coquitlam, Frank Perizzolo, a longtime member of the ICBA family, celebrated his 70th birthday at a surprise event organized by his son Steve. Frank started his company P & F Electric in 1986. He credits Mario Dallazana of Inlet Electric, his former employer, with helping him get a start on his own. Frank originally planned to start P & F with two other partners, but when the day came to sign the papers, the other two didn’t show up and the rest is ICBA history. P & F Electric took off under Frank’s blue collar work ethic and his son Steve joined the business in the 90s. 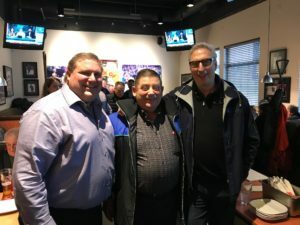 Steve remembers longtime ICBA President Philip Hochstein signing him up as an apprentice and he went on to graduate as a Red Seal electrician at the tender age of 21. In 1999, Steve, feeling the need to spread his wings a little started up his own firm NRG Electric, but was called back into P & F in 2009 when Frank ran into some health issues. Since then, Steve has wound down P & F and concentrated on growing second generation ICBA member NRG Electric. Many of the original P & F employees made the transition from P & F to NRG which specializes in concrete and wood frame multi-family residential electrical.